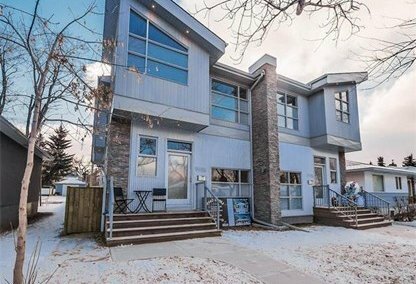 Search Banff Trail homes for sale in Calgary! Families, professors, school faculty, and graduate students are attracted to the great schools within the Banff Trail real estate market. For information about the newest listings for sale in Banff Trail or to schedule a private home or condo showing, contact your Banff Trail Calgary real estate experts today. Banff Trail housing market statistics: As of April 25, 2019 there are currently 20 properties for sale in Banff Trail listed as active, with an average asking price of $675,348. The highest-priced property is $828,000; the lowest priced property can be purchased for $529,900. 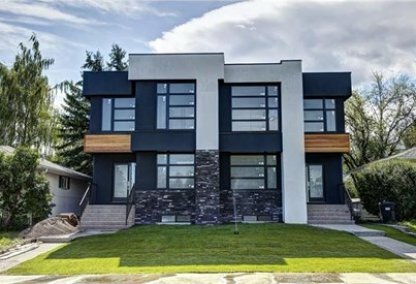 Banff Trail neighbourhood listings have an average price of $521 per square foot, based on listings with 3.7 bedrooms, 3.0 baths, and 1,369 square feet of living space. Want to purchase a home in Banff Trail Calgary? Call your Banff Trail real estate team, Justin Havre at RE/MAX First - 403.217.0003. Your neighbourhood Banff Trail real estate agents and agents are here to help with the Banff Trail housing market in Calgary. Built in 1910, historic Banff Trail is a rapidly changing community with a detailed current redevelopment plan. Its boundaries include Morley Trail, Cochrane Road, and Canmore Road (North); 16 Avenue (South); 19 Street, 24 Avenue, 18 Street (East); and Crowchild Trail (West). Banff Trail listings include single-family homes for sale and condos within an easy commute of downtown. Home prices are mid to high. Banff Trail is situated in the middle of the University of Calgary, SAIT and ACAD, with connections to major roadways. There is also direct access to the C-Train at Banff Trail station. Volunteers with The Banff Trail Community Association oversee such amenities as a skating rink and baseball diamond, as well as the Community Garden. They also host the popular annual Stampede Event and neighbourhood pancake breakfasts. The neighbourhood of Banff Trail has no shortage of local amenities. The 400 acre Confederation Park is close by, with paths for cyclists and hikers as well as wooded areas where cross country skiers gather. The Confederation Park Golf Course draws many members of the community. Canmore Park, right next door to Banff Trail real estate, has tennis courts and amenities for children such as a playground, wading pool and water fountains. Foothills Athletic Park offers Ultimate Frisbee, tennis, baseball fields and track and field areas. Banff Trail is close to North Hill Shopping Center, which has over 100 stores and services for all of your purchasing needs. Fans of the arts will enjoy Jubilee Auditorium, which offers performance seating for audiences up to 2500 people. Banff Trail is also close by the commercial center property of Motel Village. Area schools include Banff Trail (a French immersion school) and Branton Bilingual Junior High School. William Aberhart Bilingual Senior High is one of the local high schools that services the neighbourhood. Looking to buy or sell a home in Banff Trail Calgary? Let our team of expert real estate agents help you navigate the search for your next home and negotiate the sale of your existing home. As neighbourhood Banff Trail real estate agents, we know the dynamics unique to the Banff Trail real estate market. We'll help guide your search today! Contact Justin Havre at RE/MAX First - 403.217.0003 to find out more about buyer or seller representation. Selling your Banff Trail home soon? Check out our free home evaluation, where you can view Calgary Homes Values online in minutes!